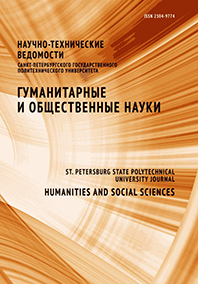 Svetlana B. Ulyanova Ofitserova Natalia V.
Routine political practices spread in soviet industrial enterprises in 1920 (elections in public authorities, socio-political organizations activities, etc.) are described in the article. The main channels of political information spreading in industrial community are shown. The conclusion about conformist political attitudes predominance in labor community.